Hello, my name is Arno. I’m from Belgium, and today I want to talk about my experience with today’s zen buddhist meditation. We arrived yesterday at the second town: Uda. This place is absolutely stunning, but the complete opposite from major cities such as Osaka, last week’s city. 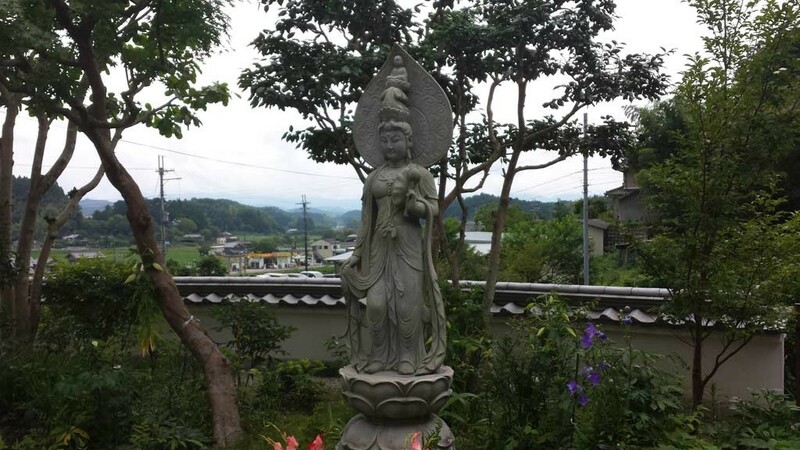 On day one, we went to a local Zen Buddhist temple near a small village. I was surprised at how young the head priest looked (maybe it was his bald head). First came an exciting explanation about what posture to take and how he would assist us in staying focused… by smacking us with a long stick. It was a very unique experience: you have to thank the priest for the smack you are about to recieve, and thank him again afterwards. It was a lot of fun (although I had difficulties with leg cramps and nose itches, because I couldn’t move). Afterwards we could ask questions to the priest. This was the most interesting part for me. It’s nice to hear the opinion of people with an entirely different way of thinking and culture, such as today’s priest. People asked questions about earthly desires (such as love), the religion itself, and his opinion on other religions. I wanted to ask so much more, but alas, time was up. Today was very interesting! I’m Looking forward to the next zen buddhist meditation later this week.